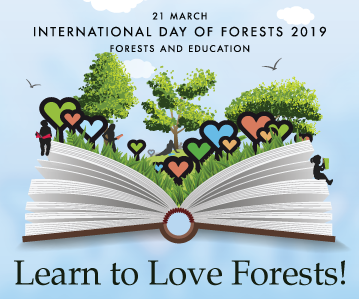 The 21st of March is the International Day of Forests (IDF) and has been since it was declared by the United Nations in 2012 (Food and Agriculture Organization 2019). The theme for 2019 was “Forests and Education”. The aim was to promote education at all levels (age, education level, gender and region) on the importance of all types of forests, working towards sustainable forest management and biodiversity conservation. One of the key messages for this year’s IDF was “Understanding our forests and keeping them healthy is crucial for our future” (United Nations 2019). 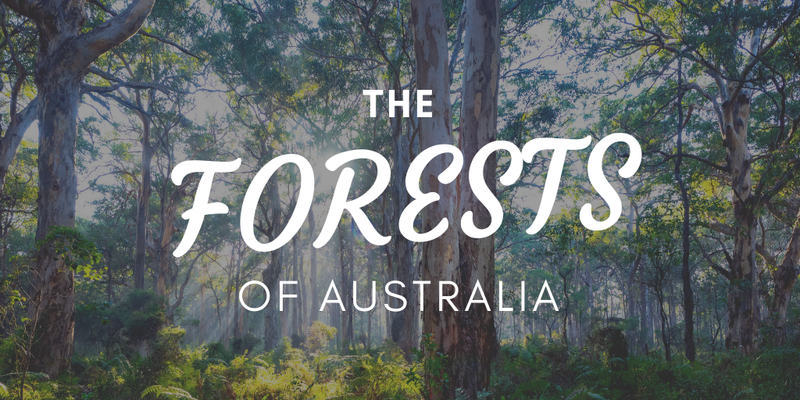 With this message in mind, I ask you: how much do you know about the forests in Australia? 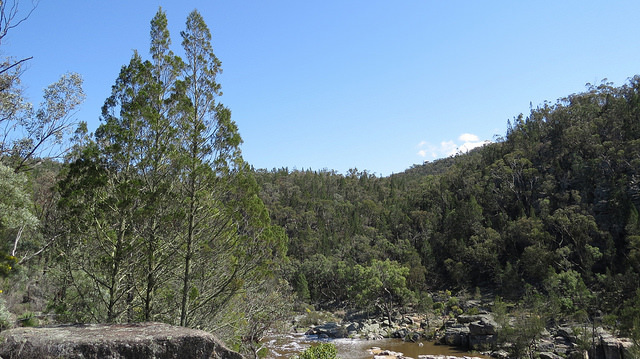 We are privileged to have a range of unique forests in Australia, valued for their diverse ecosystems, unique biodiversity and cultural significance. Forests occupy approximately 16 per cent of Australia’s land area (125 million hectares) (ABARES 2016). Of that area, Native forests cover 123 million hectares. Forests also have significant eco-tourism value. It is easy to appreciate the majesty of our forests driving along Caves Road through the Boranup Forest, walking the Tree Top Walk in the Valley of the Giants or taking a Sky rail tour through the rainforest surrounding Cairns. When we think of ‘forests’ many people picture many tall trees closely spaced and packed. However, in Australia, this image only matches a relatively small portion of our total forest areas (ABARES 2016). Australia has a diverse range of forest types mostly as a result of two different factors that shape the vegetation structure: Climate & Fire (Verhagen 2017). Native forests, plantations and woodlands are covered by this definition regardless of age (ABARES 2017). The National Forest Inventory of Australia groups our native forests into the following eight types: Acacia, Callitris, Casuarina, Eucalypt, Mangrove, Melaleuca, Rainforest and Other native forests as shown in the map below (ABARES 2016). Our forests are also divided into classes based on crown cover (the area of ground covered by tree canopies) and mature tree height. closed forest (>80 to 100 % crown cover). 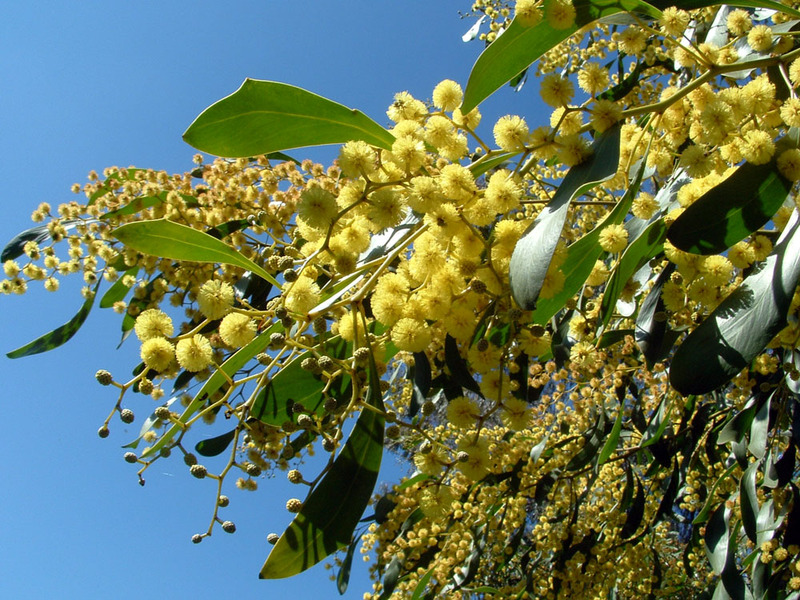 The second most common forest in Australia, Acacia forests are distinguished the Acacia genus of flowering plants. There are almost 1,000 different species in Australia (our largest genus of flowering plants) ranging from shrubs to trees. You may recognise acacias by its iconic name ‘wattle’. You will find our national floral emblem the Golden Wattle (Acacia pycnantha) in this forest type (ABARES 2016). Acacia forests can be found in nearly every state, but prefer arid to semi-arid climates. Our Acacia forests are critical in preventing topsoil erosion, stabilising soils and enriching the soil with valuable nitrogen (Pariona 2017). Callitris trees are unique to Australia and New Caledonia and are often called Cypress Pines. Despite resembling and being related to northern hemisphere cypress pines, callitris trees are actually not true pines. There are 13 species of callitris trees in Australia and most are located in inland NSW. However in WA, there are small forests on Rottnest Island and the South-West. These trees typically grow in small patches in drier land, in areas of sandy soils or upland rock areas protected from fire (ABARES 2016). The wood of callitris trees are often naturally durable and insect-resistant (Verhagen 2017) and their resin has been traditionally used by Indigenous Australians as an adhesive. 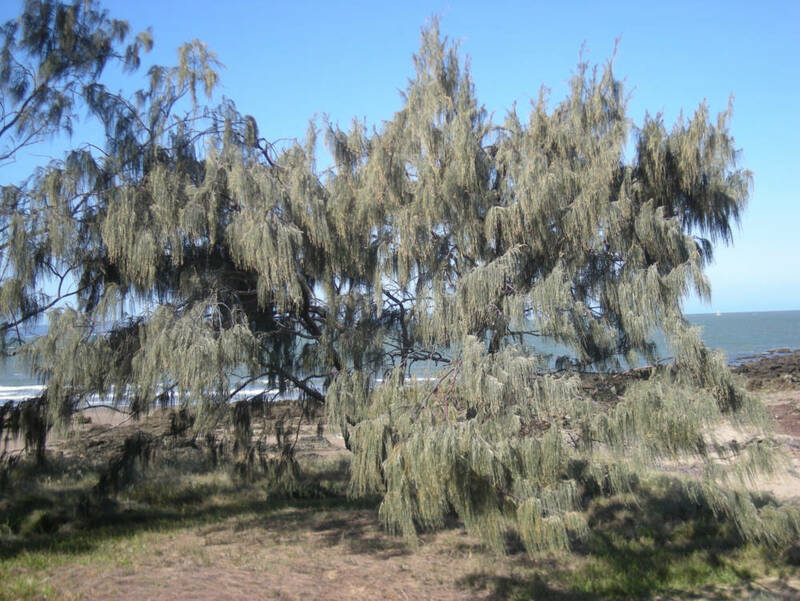 Casuarina forests typically occur along riverbanks and some coastal areas. This forest type contains species from the Casuarina and Allocasuarina genus. Casuarinas are commonly referred to as she-oaks. Casuarinas, like acacia, are valued for their ability to fix nitrogen, through a process involving symbiotic bacteria (ABARES 2016). Casuarina trees that grow along river banks also play an important role in stabilising the banks, helping to maintain water quality. 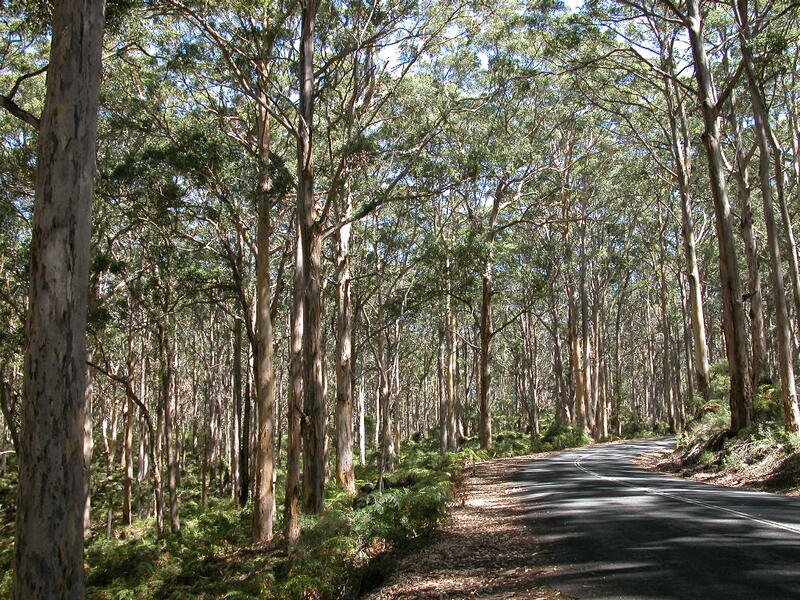 Eucalypts evolved from rainforest trees to adapt to drought-prone, nutrient-poor soils under threat of fire. Most eucalypts are fire-tolerant that utilise a range of strategies, such as oil-rich foilage that burns readily and insulating bark, that allows the tree to regenerate after intense fires (Verhagen 2017). Just over half of the world’s mangrove species (41 species) call Australia home, despite Australia’s Mangrove forests only covering an area of 0.9 million hectares. Mangroves are iconic and unique trees with their aerial structural roots, exposed breathing roots (ABARES 2016) and ability to survive in high saline environments. 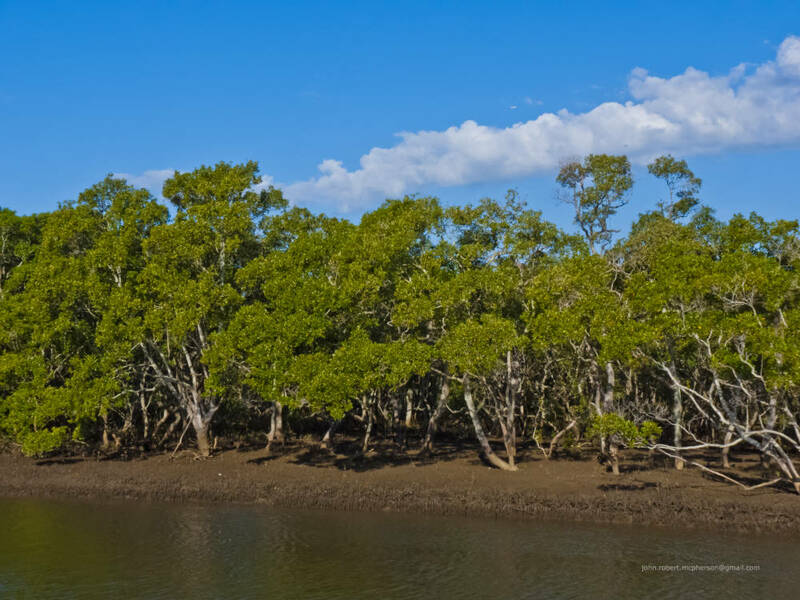 Mangrove forests grow in the intertidal zones of tropical, subtropical and protected temperate coastal rivers, estuaries and bay typically found along Australia’s Northern Coasts. Mangroves are an important factor of many coastal and estuarine ecosystems by protecting riverbanks and coastlines and providing habitat for birds, fish and crustaceans. Melaleuca forests mainly occur in areas of estuarine plains and seasonal swamps in coastal or near coastal areas. The largest grouping of this forest type can be found in the Cape York region of Queensland and the north of the Northern Territory (ABARES 2016). 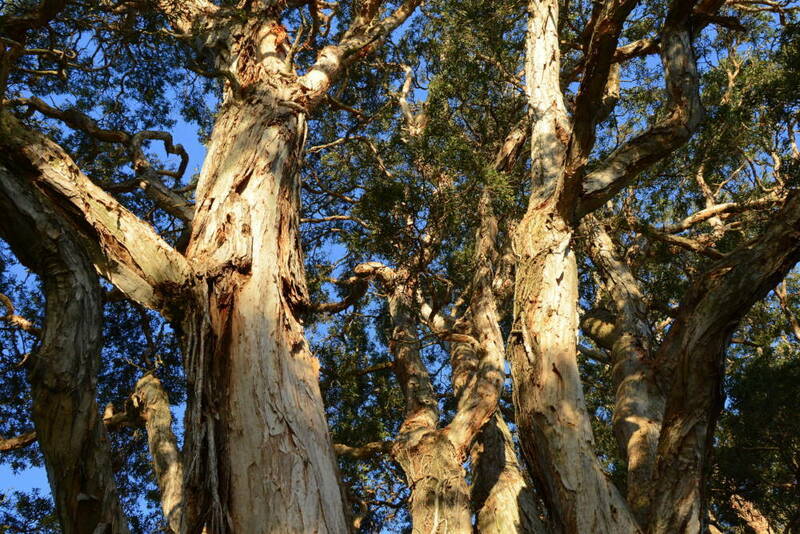 There are more than 200 species of Melaleuca in Australia, but not all of them develop into trees. Many species have a distinct bark structure made of multiple thin layers, which is responsible for its commonly used name ‘paperbarks’. Other Melaleucas are also commonly called ‘tea-trees’ because the foliage of some species has antibacterial and germicidal properties which make it a primary ingredient of essential oils (i.e. tea-tree oil) (Verhagen 2017). Over half of Australia’s rainforests are found in Queensland (tropical rainforests), 20% in Tasmania (cool-temperate rainforests) and the remaining spread across several states and territories (except South Australia). Rainforests usually have high rainfall, lush growth and closed canopies of tall trees. Generally, there are no eucalypts in rainforests. Our Rainforests are rich in biodiversity, containing many unique plant species (60% of Australia’s plant species) and providing habitat for 40% of our bird species and 35% of mammalian species (Verhagen 2017) (ABARES 2016). 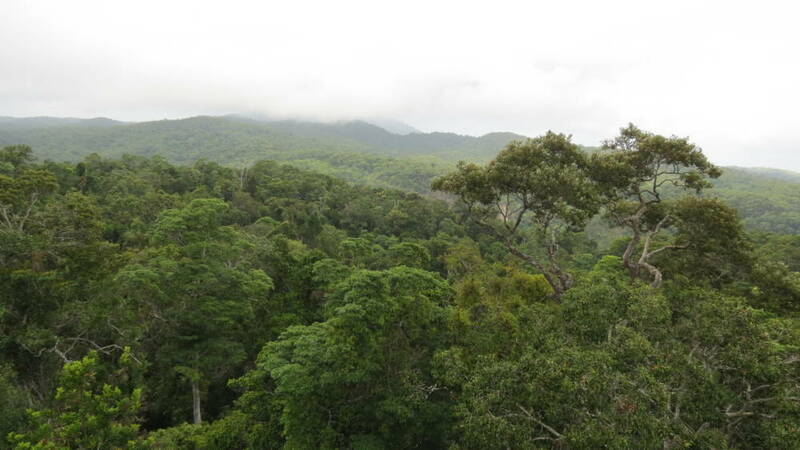 Thirty-two per cent of Australia’s rainforests are within UNESCO World Heritage Areas. 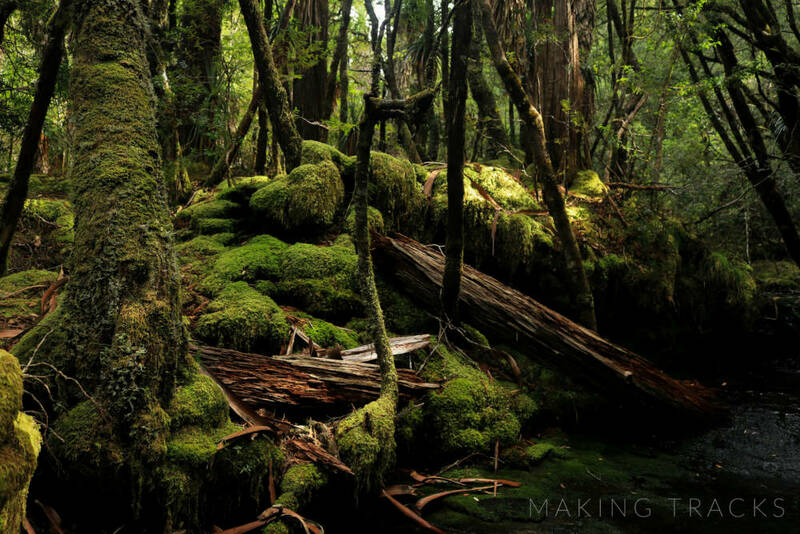 Our most recognisable rainforests include Daintree National Park, Barrington Tops National Park and Cradle Mountain-Lake St Clair National Park. 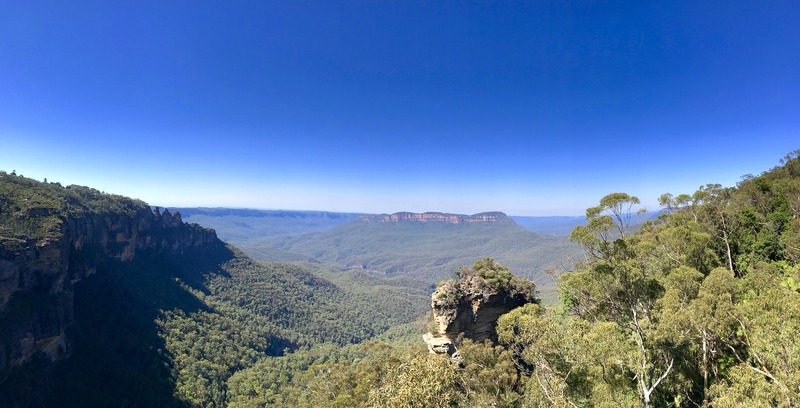 In the spirit of International Day of Forests share some facts about our unique Australian forests, or even share some photos or memories associated with a trip to of our various types of forest. Our forests play a vital role in many of our ecosystems but are continually faced with many pressures including extreme weather, drought, climate change, pests and diseases, urban development and poor land management practices (ABARES 2016). With greater education for all, we can attempt to ensure that our natural forest resources are protected and well-managed. ABARES. 2016. “Australian forest profiles.” Australia’s forests – overview. August. Accessed March 13, 2019. http://www.agriculture.gov.au/abares/forestsaustralia/PublishingImages/Forest%20profiles%202016/1Australia%27s%20forests/AusForProf_2016_Australias_forests_v1.0.0.pdf. —. 2017. “Australia’s forests at a glance 2017.” Forests Australia Article Details – Department of Agriculture and Water Resources. August 22. Accessed March 13, 2019. http://data.daff.gov.au/data/warehouse/9aaf/9aafe003/fag17d9abfe20170822/ForestsAtGlance_2017_v1.0.0.pdf. Food and Agriculture Organization. 2019. International Day of Forests. Accessed March 12, 2019. http://www.fao.org/international-day-of-forests/en/. Pariona, Amber. 2017. How Many Types Of Forests Are Found In Australia? November 2. 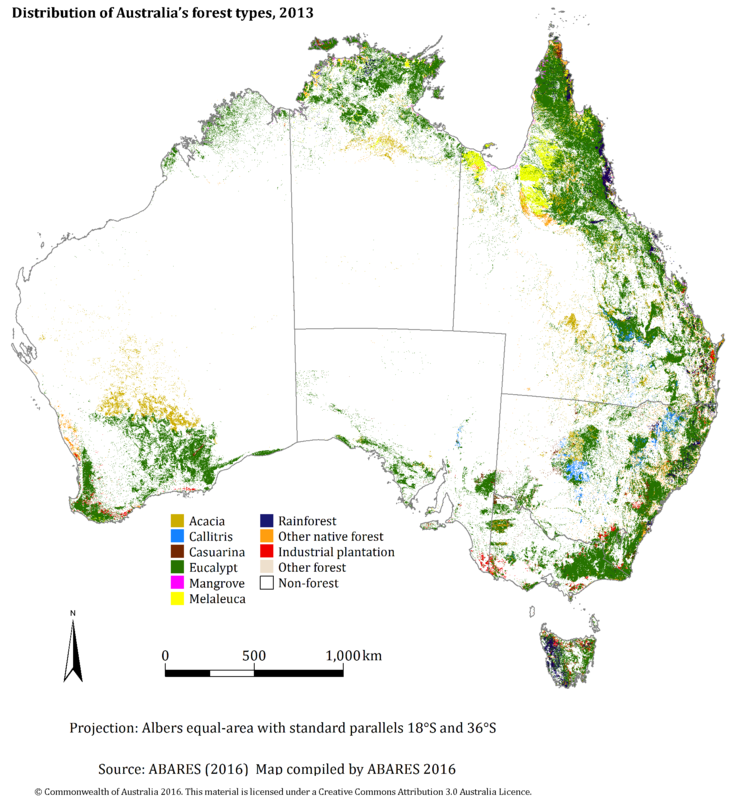 Accessed March 15, 2019. https://www.worldatlas.com/articles/how-many-types-of-forests-are-found-in-australia.html. United Nations. 2019. International Day of Forests 21 March. Accessed March 12, 2019. http://www.un.org/en/events/forestsday/. Verhagen, Shannon. 2017. 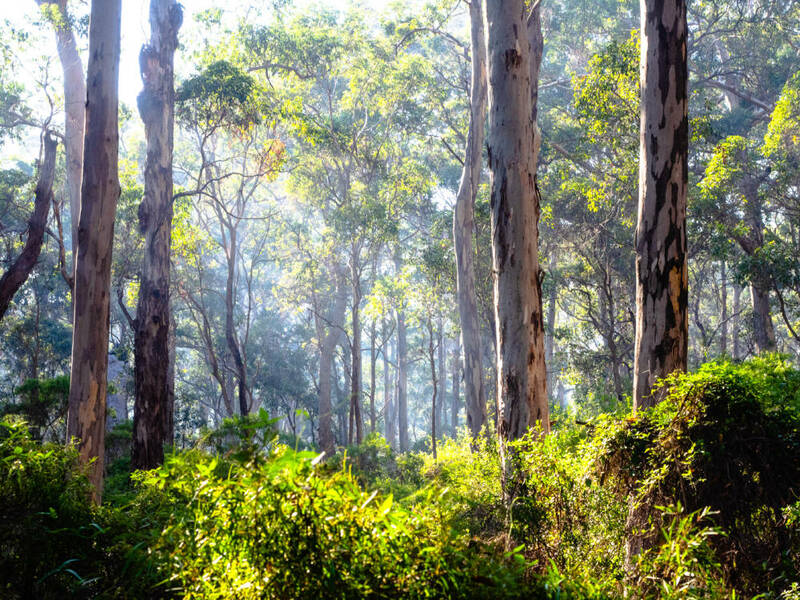 Getting to know Australia’s diverse forests. March 21. Accessed March 13, 2019. https://www.australiangeographic.com.au/topics/science-environment/2017/03/australias-diverse-forests/.